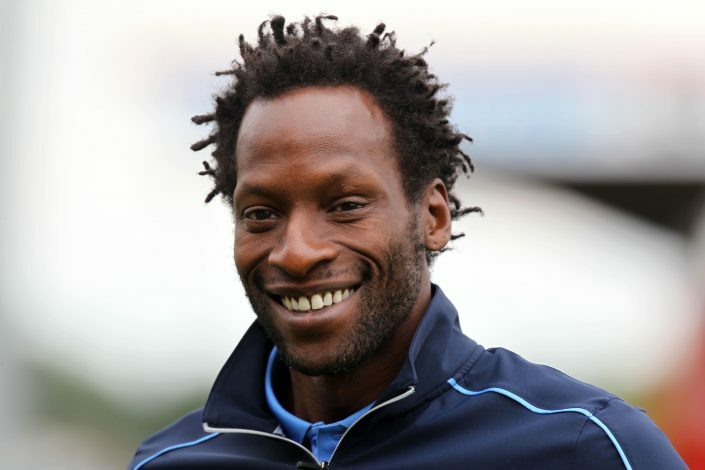 Ugo Ehiogu, a former England international, and Tottenham Hotspur’s U-23 coach, has died after suffering a heart attack. The former defender collapsed at Tottenham’s training centre on Thursday, and received medical treatment on site, before being transported to a hospital in an ambulance. The centre-back made four appearances for England between 1996 and 2002, scoring one goal against Spain. The club later released another statement, announcing the passing away of the former Aston Villa, Middlesbrough, West Brom, Leeds United, and Sheffield United player. It read: “Ugo received immediate treatment after suffering a cardiac arrest at the training centre yesterday before being transferred to hospital, where he passed away in the early hours of this morning. “The club sends its deepest condolences to Ugo’s family. Gemma has specifically asked that the family are given privacy at this difficult time. He is survived by his wife Gemma, and a son. Aston Villa’s Twitter account also paid tribute to the 44-year-old, and said tribute will be paid before their match with Birmingham City this weekend. Ehiogu joined West Bromwich Albion, and went on to make his professional debut with them in 1989. He then joined Aston Villa, playing for them between 1991 and 2000. Middlesbrough was his next stop, which included a loan spell at Leeds United. He finished off his career with Rangers in Scotland, and Sheffield United. Ehiogu made his England debut against China in 1996, and played for the Three Lions three more times. After moving into coaching following his retirement, Ehiogu was part of Peter Taylor’s England Under-20 coaching set-up, before taking up a role with the Tottenham academy in July 2014.